Birthday wishes poured in for the Indian women's ODI team skipper Mithali Raj from across the cricketing fraternity as the ace batswoman turns 36 today. Birthday wishes poured in for the Indian women’s ODI team skipper Mithali Raj from across the cricketing fraternity as the ace cricketer turns 36 today. 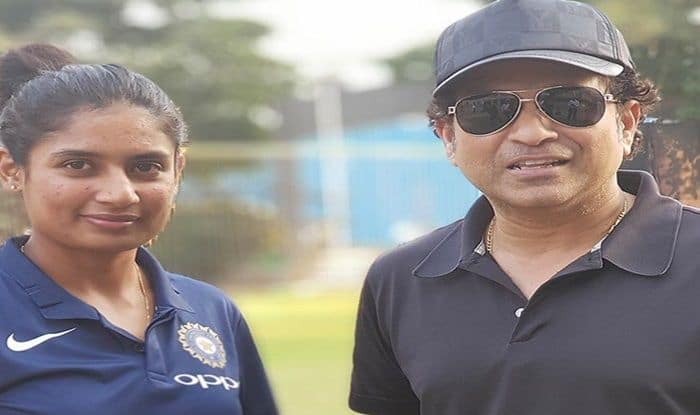 From the world body of cricket – International Cricket Council (ICC) to master blaster Sachin Tendulkar, many renowned personalities took to their social media handles to extend their good wishes to Mithali on her special day. The 36-year-old is also India’s leading run-scorer in T20Is, having accumulated 2283 runs, she is ahead of the likes of Rohit Sharma and Virat Kohli trailing her at 2207 and 2102 runs respectively in the list. Mithali, who is the first Indian woman to score a double ton in a Test, has led ‘Women in Blue’ to two world cup finals (in 2005 and 2017). On her debut in 1999, she became the youngest to score a ton in women’s ODI. “Happy birthday to Mithali Raj! No woman has scored more ODI runs than her 6,550,” ICC wrote along with her picture in the blue jersey. The Board of Control for Cricket in India (BCCI) Women also wished the “leading run-scorer” in women ODIs. “The leading run scorer in Women ODIs, here’s wishing our ODI Captain @M_Raj03 a very happy birthday #HappyBirthdayMithali,” BCCI Women tweeted. “You’re not just a brilliant cricketer, but also a symbol of women’s empowerment. A true inspiration to the youth. Wishing you a very happy birthday, @M_Raj03!” former cricketer Vinod Kambli tweeted. “Happy Birthday, @M_Raj03! Her performances helped lead @BCCIWomen to the @cricketworldcup final at Lord’s in 2017,” Lord’s Cricket Ground’s ?handle tweeted. The world number three in T20 bowlers ranking, Poonam Yadav, also wished her senior member. “Happy Birthday @M_Raj03 di!” she tweeted.